Embrace Building Wraps have decades of experience in transforming unsightly construction sites across the UK. 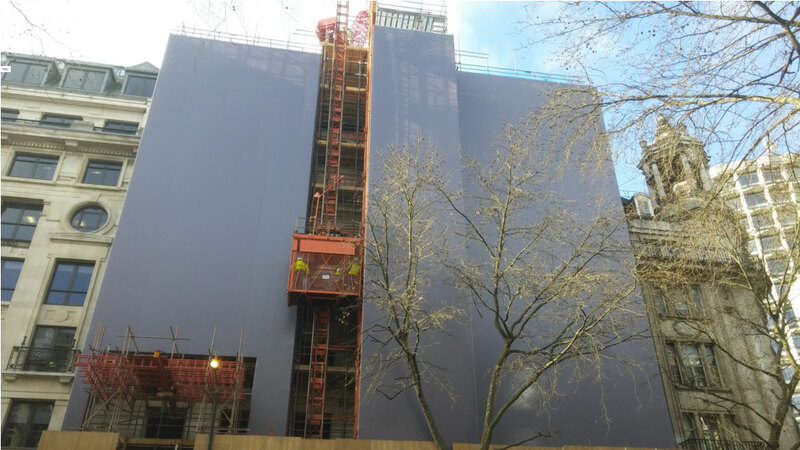 The team recently completed London’s tallest Dibond installation. 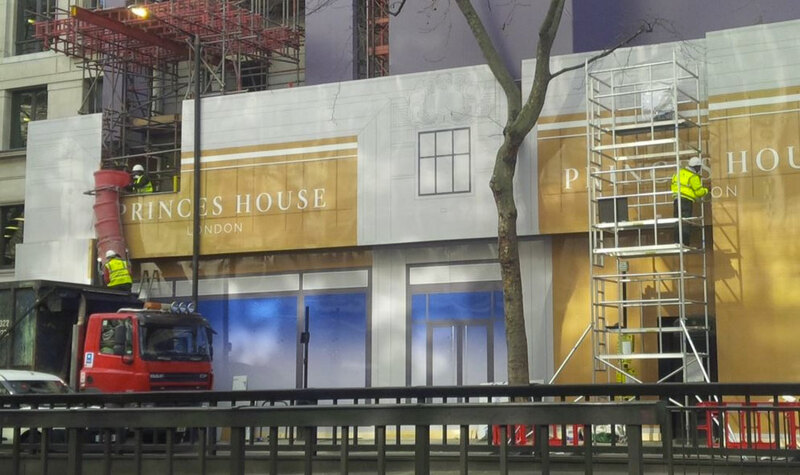 Princes House in central London is part of a redevelopment project by E&O Group to renovate the 1920’s building into over 50 residences. 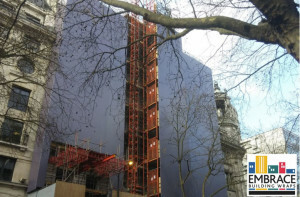 The project will maintain the neoclassical stone façade signature of early 1920’s English architecture. The team worked closely with the architects to design, print and install the Dibond hoarding that stands over 26 feet tall and runs nearly 79 feet in length. To create an advertising platform for the development, the Dibond was printed on the ground floor.